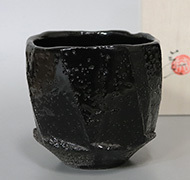 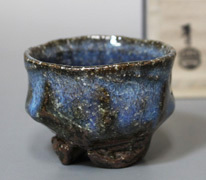 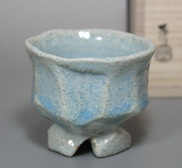 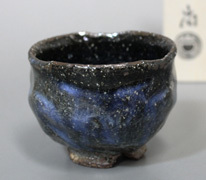 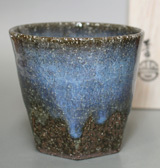 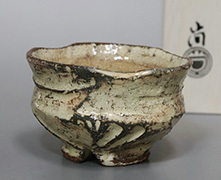 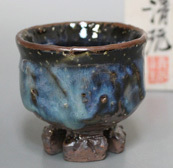 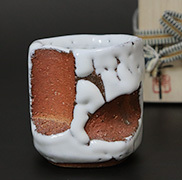 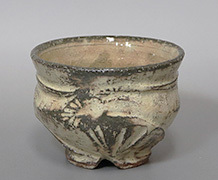 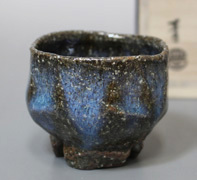 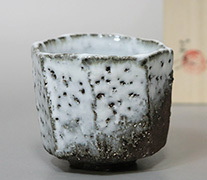 As with many of the major potteries in Japan, the origins of Hagi yaki can be traced back to the influx of Korean potters to Japan following military manoeuvres abroad. 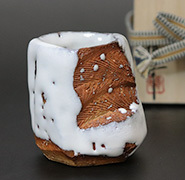 In 1592, Toyotomi Hideyoshi, a famous warlord and important historical figure, conducted a disastrous campaign on the Korean peninsula. 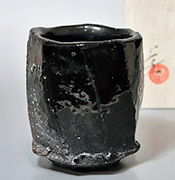 His efforts were not entirely in vain however as he forcibly brought back Korean craftsmen, who under the patronage of the local lord Mori Terumoto, went on to produce wares which developped into Hagi yaki as we know it today. 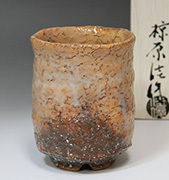 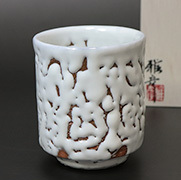 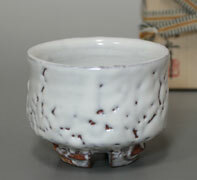 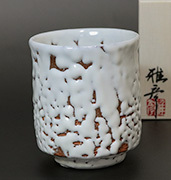 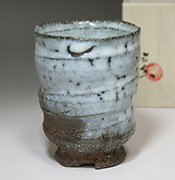 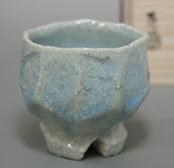 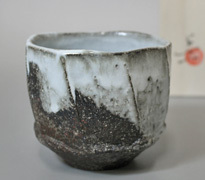 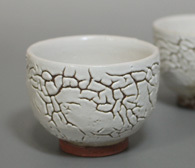 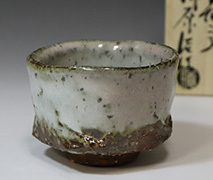 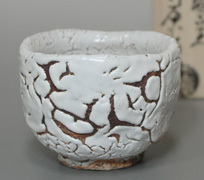 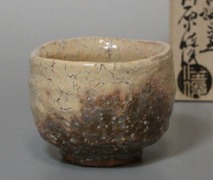 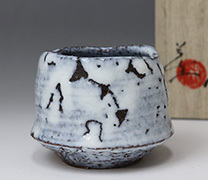 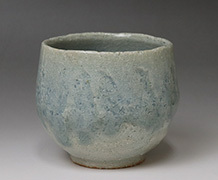 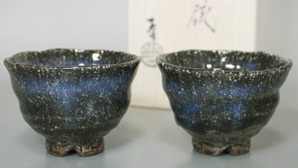 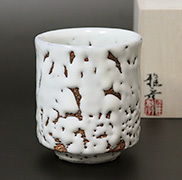 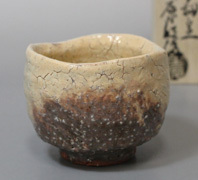 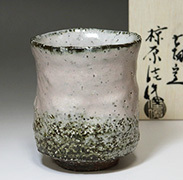 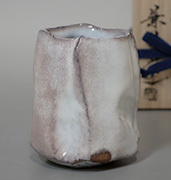 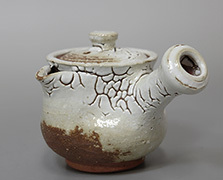 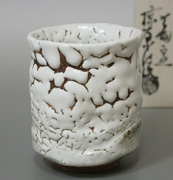 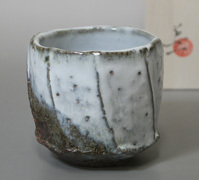 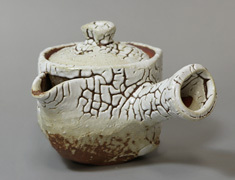 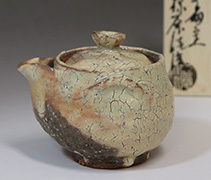 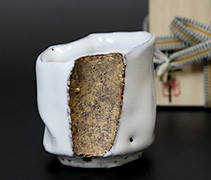 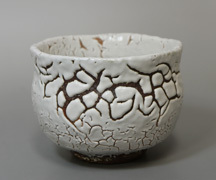 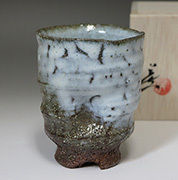 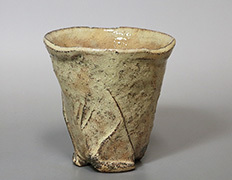 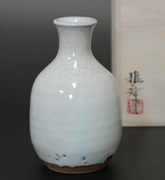 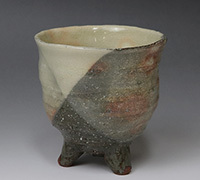 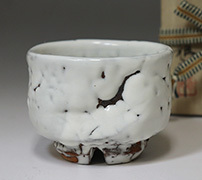 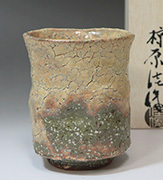 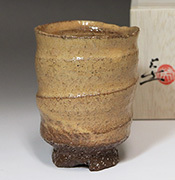 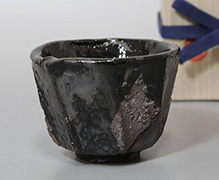 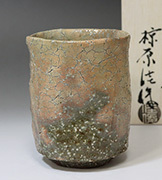 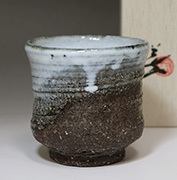 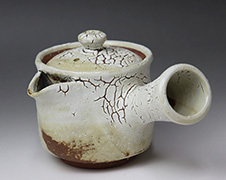 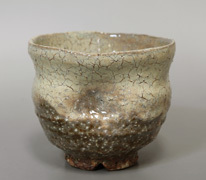 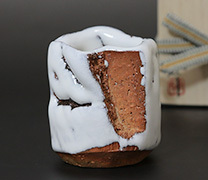 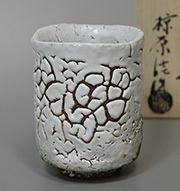 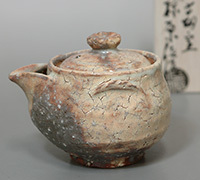 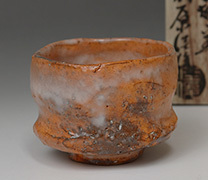 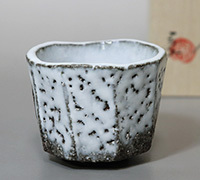 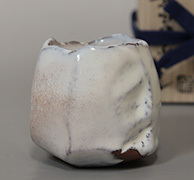 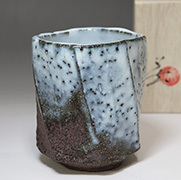 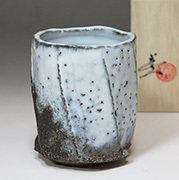 A demand for tea ceremony goods from the moneyed classes kept the Hagi potters in business and the simple rustic shapes with a delicate transluscent white glaze found favor with tea ceremony masters, giving Hagi yaki a certain cachet and ensuring its position as one of the most prestigious potteries in Japan. 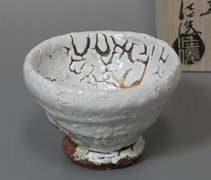 Hagi yaki is made of very porous clay. 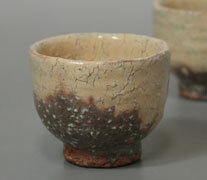 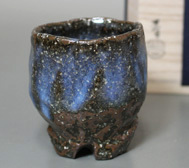 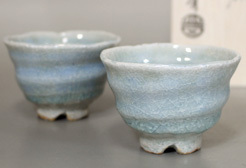 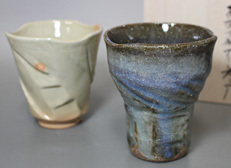 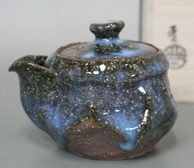 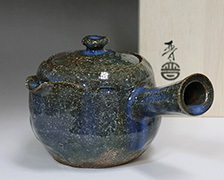 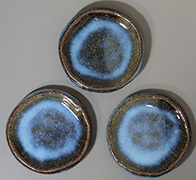 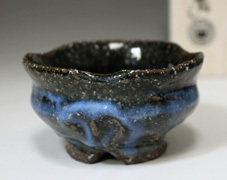 As the items are used, tea deposits seep into the glaze,changing the color. 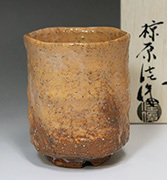 Fans of Hagi yaki view this as a charming characteristic rather than a detraction. 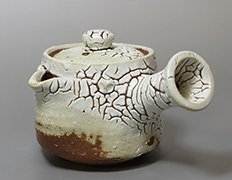 One gets the feeling that the items are adapting themselves to the owner's usage and that in time, each piece becomes even more unique and special. 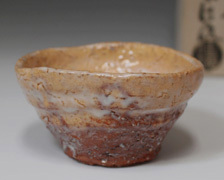 When you first start using Hagi yaki, you may notice an earthy smell. 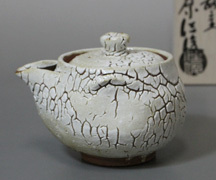 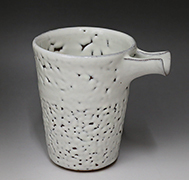 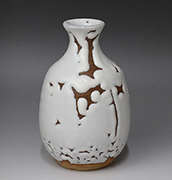 This comes from the clay and will disappear with use, as tea deposits are absorbed into the glaze. 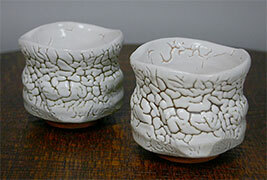 Because of the porous nature of the clay, the use of strong detergent is not recommended. 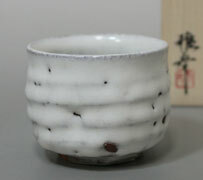 Wash in hot water and dry with a soft cloth. 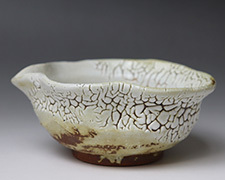 Leave to dry naturally in a shady place before storing. 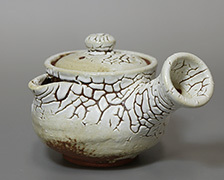 Do not leave fluids standing in the items for any length of time as condensation may gather around the base and damage wooden counters or trays. 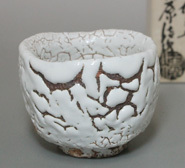 Also, as the base tends to be rough, be careful when using on polished surfaces.